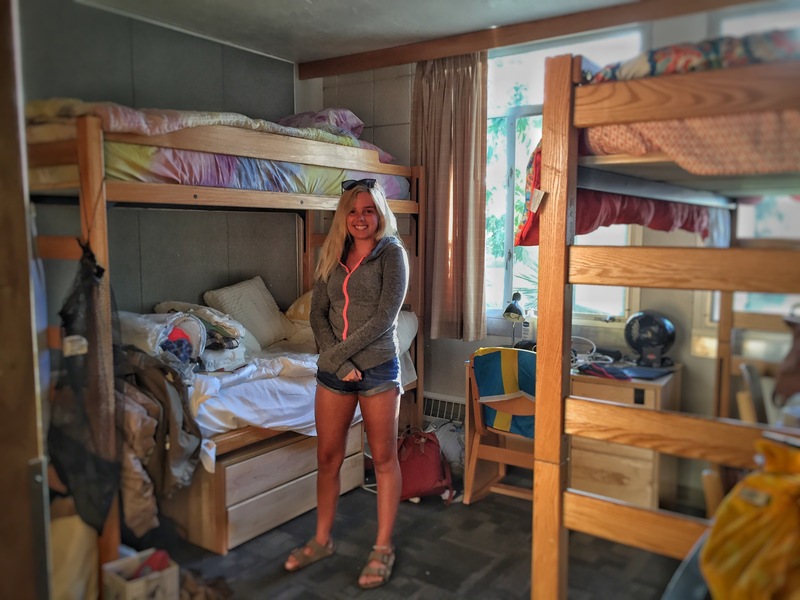 When your eighteen year old daughter moves into her college dorm and you make her bed one last time, is this “not letting go?” I can tell you that I did this yesterday; I moved my daughter from Maine to Santa Barbara and bravely accompanied her into her freshman dorm room. And I made her bed. Our spirits had been buoyed by our masterful transport of all of her trash-bagged possessions out of the car, down the narrow dorm hallways, and into the tiny room that was designed as a double but pressed into service for three. Confession: I had envisioned this moment since before she was born. When I was still pregnant with my daughter, I sewed a fleece crib blanket–one layer of a wintry deep blue and one of a blue and white snowflake pattern. Trimmed in light blue satin, of course. This color scheme revealed not only my dislike for the color pink, in general, but my feminist aversion to compulsory-pink-for-girls, in particular. More importantly, at the same time in 1997, I sewed an identical blanket of X-long twin size for her use when she graduated to a ‘big girls’ bed’ and also when she went to college. Naturally, parents of teens have already guessed that my daughter’s taste in bedding has diverged from the snowflake fleece of childhood beds. In short, it didn’t make the cut in the category of what fit into the car. Armed as I am, more recently, with competence in accepting my young adult daughter’s independence, this did not offend me. But the college bed, the making of that bed, this remained important to me, symbolic, a moment of life passage for us both. Did she appreciate my assistance as we wrestled with zipping the bed bug barrier around that damn XL twin mattress? Absolutely. We kept exploding with laughter as the unwieldy fabric foiled our façade that this was easy on any level. The loving and the relationship don’t stop with that move into college, by any means. Our young adult adult children still need our support in navigating the vagaries of university bureaucracy, online banking, and bicycle thieves, to name only a few. 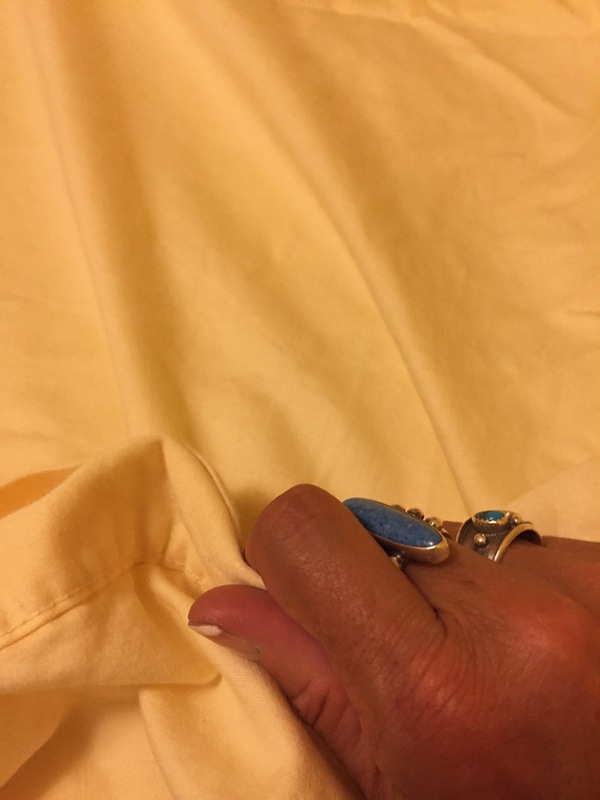 Nonetheless, making that bed for her, one more time, marked a moment as significant in my life as hers, one tangled with pride, love, and anxiety. From over 3,000 miles away, goodnight my dear one and sleep well. Thanks for this insight, Tricia! My oldest is only 13, and right now I can’t imagine ever experiencing what you describe so eloquently here, but I certainly look forward to it!